responds to people in need of hope. Do you want to reach out and make a difference? As a Donor you have the opportunity to be part of this vital mission and receive news of the people being helped and of lives being changed. The past packs of greeting cards were so popular that they sold out! So we have produced new packs of cards with all new images. Listen to the Bethlehem Lutheran Church choir, guest singers, a brass quartet, violinist and organist - LCNZ Bishop Mark Whitfield. Order the CD that was recorded live at the event for $15 each. Click here for more information. Latest Notices - for newsletters and bulletins. 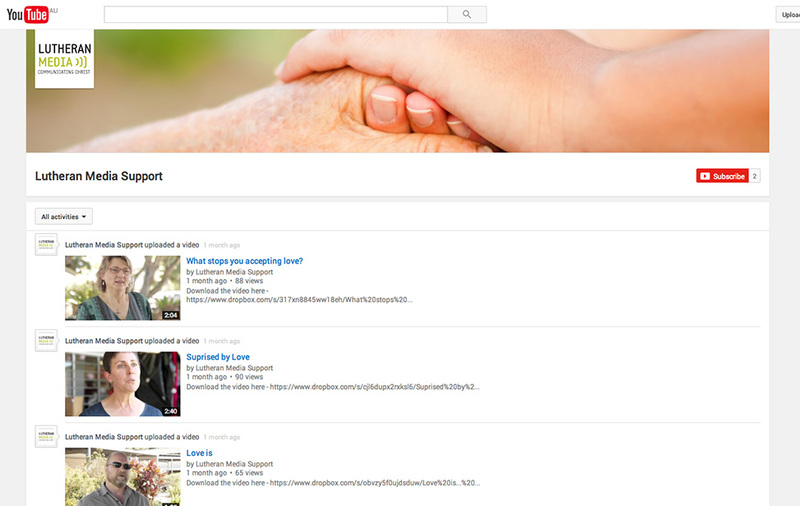 Please feel welcome to use any of the information that you feel is relevant in your newsletters and bulletins. The popular calendar is available to order for yourself or to give as a gift. Click here to order your 2019 Calendar or call us on 1800 353 350. 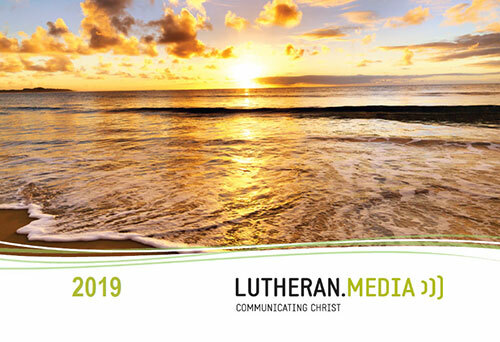 Almost 40 videos were entered into the Lutheran Media Short Movie Competition. Click here to see the winning videos. This website is designed for 4-7 year old children to introduce them to Jesus. It is a safe place for them to play and learn about the way Jesus teaches us to live. 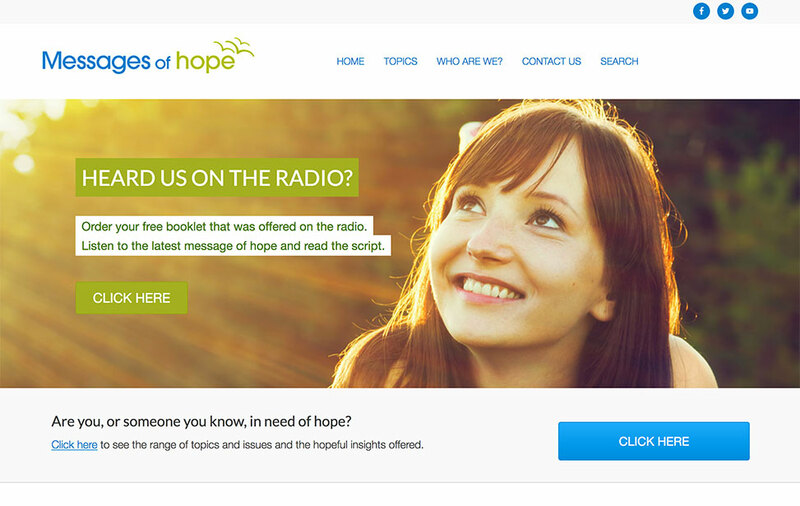 Messages of hope is a 15 minute program which uses a contemporary easy listening style offering words of gospel-centred hope to help people cope with life. 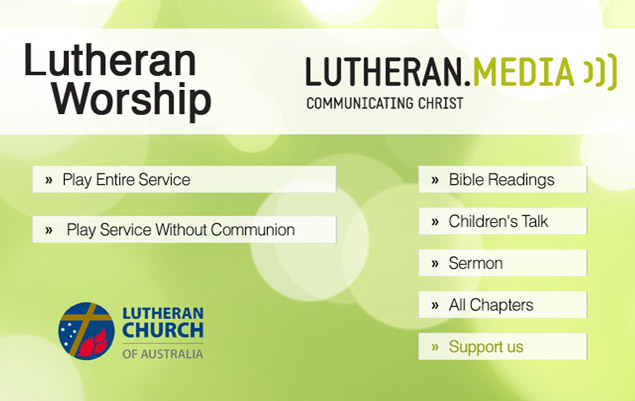 Lutheran Media schedules TV programs that are viewed Australia-wide by at least 700,000 viewers. Are you a member of a congregation without a pastor or unable to attend church? You can watch the whole or selected parts of the service either online or on DVD.